WINNIPEG, MB – Torque Brewing has announced the release of a new beer brewed in collaboration with Minnesota’s Surly Brewing especially for the World Masters Ultimate Club Championships which are taking place in Winnipeg this week. Callahan (6.5% abv, 55 IBU) is a “smooth Rye IPA” named after Henry Callahan, one of the early proponents of the sport who was murdered during a robbery in 1982. He is commemorated via the Callahan Award which is given to the best male and female college Ultimate players each year, the Callahan Rules of Ultimate, and a rare move in the game called a Callahan. 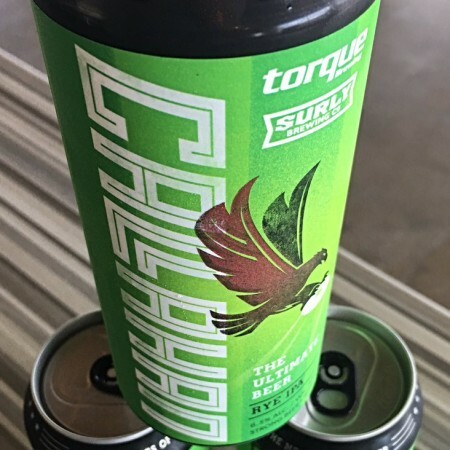 Callahan Rye IPA is available now in the Torque taproom and retail store and at select liquor retailers in Manitoba.